Awards | Brandon, FL | Dynamic Roofing Concepts Inc. Here at Dynamic Roofing Concepts, we do everything we can to make sure that you get the best for your commercial or residential roof in Brandon FL or any of the surrounding cities. In order to keep our work up to your high standards, we stay certified and updated in all the newest roofing materials and methods. With over 40 years of experience, we’ve seen every roofing method come and go, and we know which ones work best for every situation. Over the last 40 years, we’ve built a reputation that includes exceptional customer service and quality roofing work that lasts. Our company was founded on a commitment to integrity, dedication, professionalism and honesty, and we have the certifications to prove that we are the roofing contractor in Clearwater, Tampa and the surrounding cities that you should choose every time you need help. Our company has received several awards because of our high quality work and commitment to great customer service. 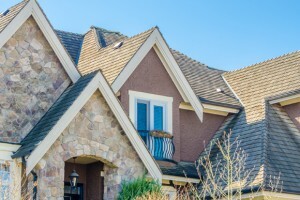 When you choose Dynamic Roofing Concepts, you can rest easy knowing that you’ve chosen a roofing company in Odessa FL and the neighboring cities that is truly invested in your home or business. While awards and certifications are proof of our high quality standards, we know that our most important advertisement is the work we do for every customer that comes to us. We are confident that we have the knowledge, the materials and the experience necessary to repair, maintain or replace any type of roofing in Tampa. On top of that, we are committed to ensuring that you genuinely like working with every representative of our company. Call us today at 813-257-9355 for a free estimate for all your commercial or residential roofing needs, and see for yourself how great service and quality work makes all the difference in every roofing project.